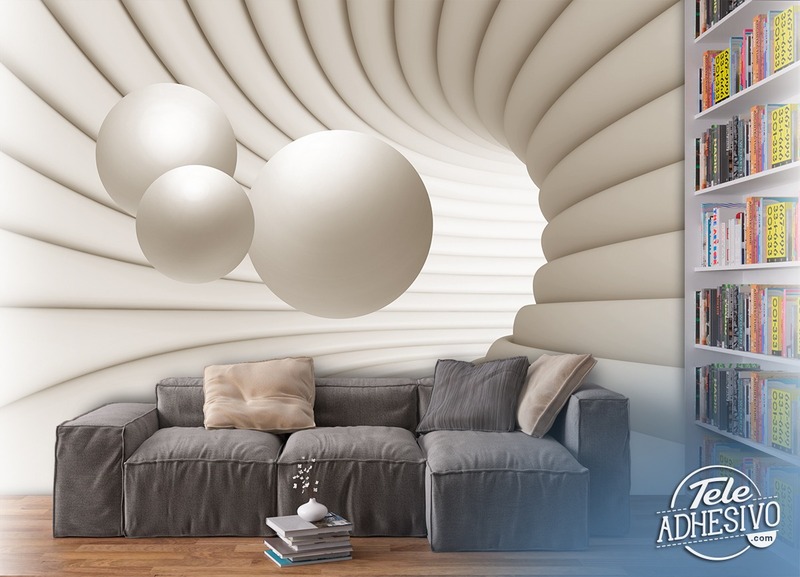 Wall mural Spheres in orbit. 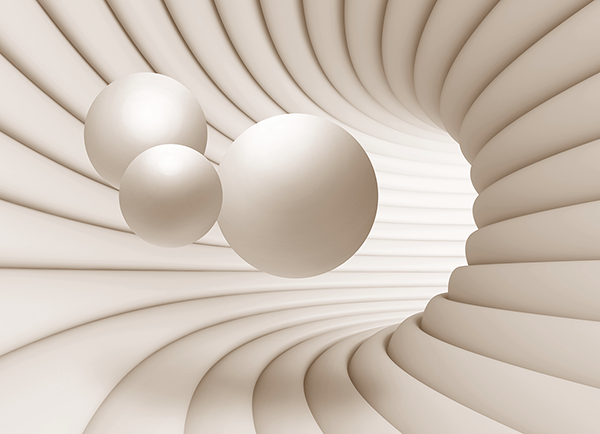 Peculiar image of a futuristic circular tunnel where several spheres float along the tunnel's trajectory. A science fiction image that resembles the ducts of a spacecraft or an unusual place. The spheres have different sizes.